Transforming Transportation 2015 is inviting YOU to become a presenter. Share your big ideas for sustainable mobility and urban development in smart cities. Photo by Onny Carr/Flickr. Editor’s note: The submission period has now closed. We invite you to register to attend Transforming Transportation 2015 here. 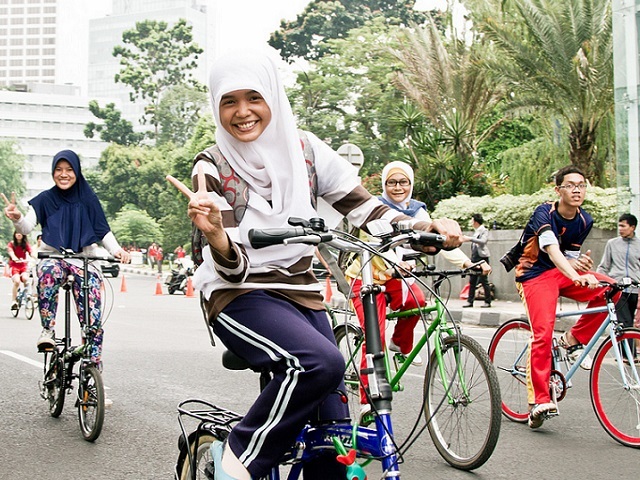 Do you have big ideas for “what’s next” in sustainable mobility and urban development? It’s time to put them to the test. Transforming Transportation (#TTDC15) is the annual conference co-organized by EMBARQ – the producer of TheCityFix – and the World Bank. The event convenes leading transport and urban development experts from national and local government, finance institutions, foundations, civil society, and business to discuss the latest global trends, experiences, and best practices in sustainable transport. This year’s conference will focus on Smart Cities for Shared Prosperity, and will examine how smart, connected urban mobility can improve quality of life in cities. More information on conference proceedings and registration is available at www.transformingtransportation.org, and you can read about the takeaways from Transforming Transportation 2014 right here on TheCityFix. One result of rapid urbanization is the great challenge city leaders face in creating connected, inclusive and livable cities. From bus rapid transit (BRT) to transit-oriented development (TOD), innovations in urban mobility and urban development have revolutionized cities worldwide. But further advancements are needed. Cities are expected to gain 1.4 billion people in the next 20 years, and cities already emit 70% of global greenhouse gas emissions. It is expected that transport-related global climate change contributions will double between 2010 and 2050. Ideas presented at the conference will help set the agenda for the transport community to more fully engage in 2015’s pivotal climate negotiations and the establishment of the United Nations’ new set of sustainable development goals (SDGs). So join the conversation! Anyone is eligible to submit a presentation. To submit your idea, browse the application guidelines and submit your presentation here by 11:59pm EST on December 2, 2014.